He wanted one of his fox kit character Alex doin somethin all big and independent, but he didn't know what so he gave me free artistic license said 'surprise me' and set me loose. And I ran with it and came up with this all before breakfast taday. 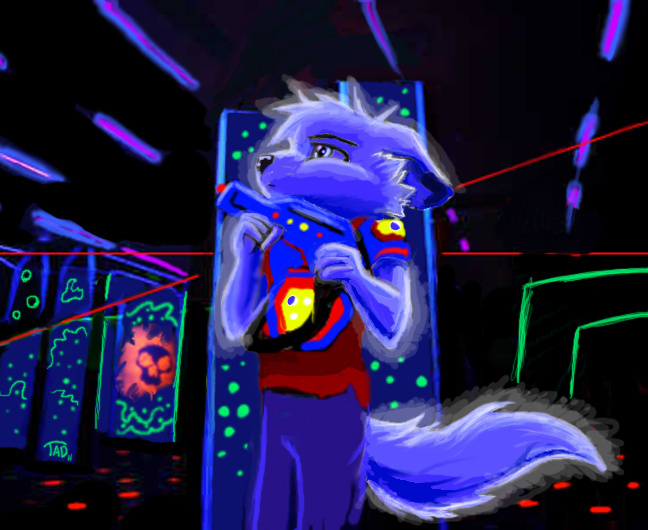 Did what I would really do with a snowfox... that is put him under some black lights and toss him into a laser battle. ^-^ He's a lil tuff guy.